Pictured, left to right. Garnet Thompson, Taso Christopher, Egerton Boyce, Peter C. Newman. Photo By Jaykob Storey. 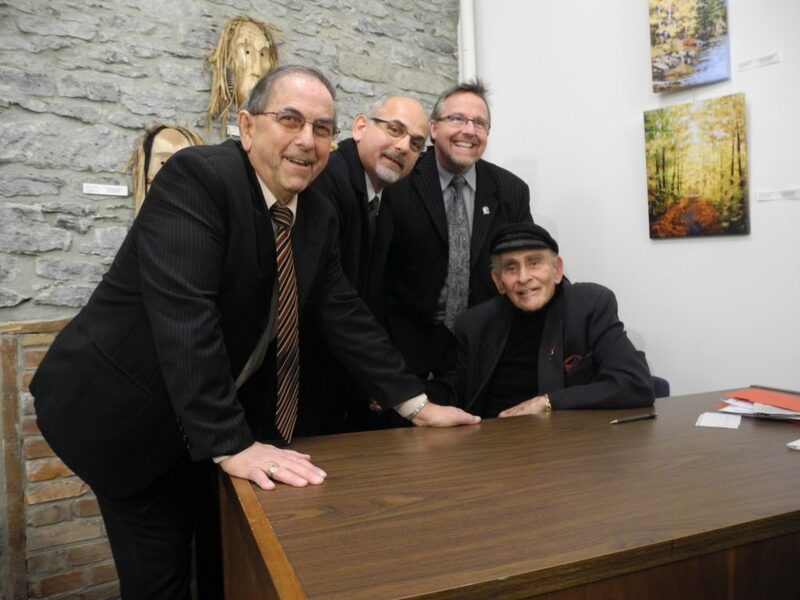 BELLEVILLE – Dozens of people came out for the release of renowned Canadian author Peter C. Newman’s 33rd book, Hostages to Fortune, at the Quinte Arts Council last Thursday night. At 87 years old, Newman has lead a life that saw him emigrate to Canada from Austria, rise to the rank of Captain in the Royal Canadian Navy, make a home in Belleville, and write dozens of books along the way. His latest work, which tells the story of the United Empire Loyalists, a name given to British citizens who left the United States during and after the American Revolution and settled in modern-day Quebec and Ontario, drew a packed crowd for the signing. Even Belleville mayor, Taso Christopher, turned out to express his gratitude to Newman. The crowd featured a mix of longtime fans of Newman’s work and those curious about his work and reading it for the first time. “Brilliant writer, and a fantastic guy,” said Fred Wardle, who published some of Newman’s previous books. Newman himself had a smile for each and every fan who approached him. His hearing aid was malfunctioning that evening, and it took him several minutes to engage in even brief conversations with his guests, as each question was relayed back to him by Belleville city councillor, Egerton Boyce. 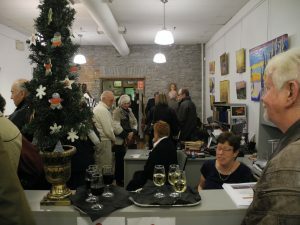 Quinte Arts Council, crowded with fans looking to meet Peter Newman. Photo By Jaykob Storey.